Clean water is essential for all living beings, and horses need a great deal of clean water. How can you keep your horse trough clean? 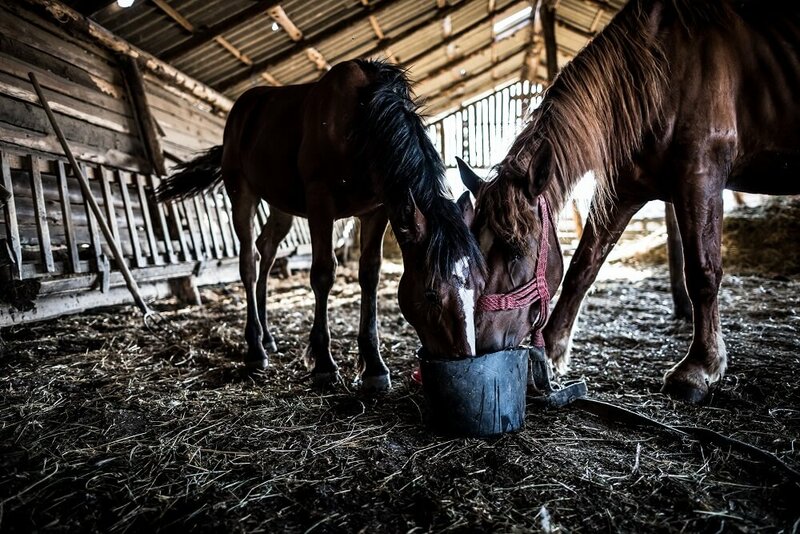 In this article, we share important tips to help you provide your horse with plenty of clean water easily. Read on to learn more. 1 How Much Clean Water Does A Horse Need? 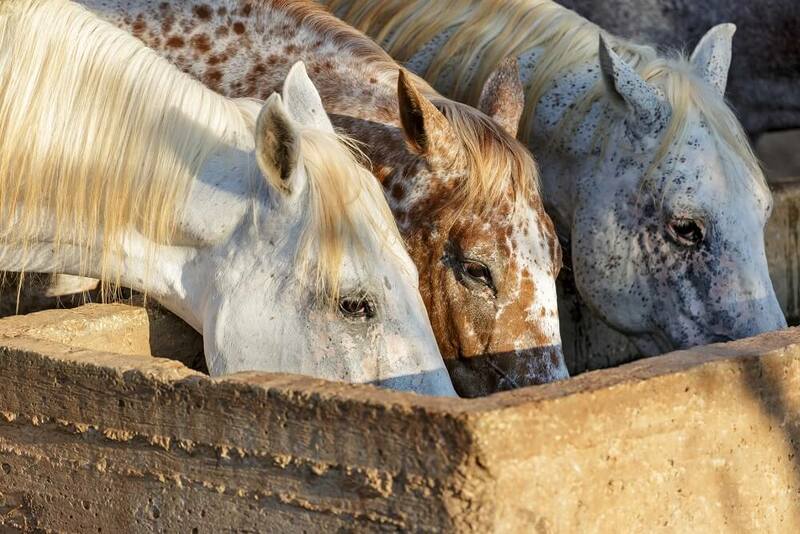 3 How Often Should A Horse’s Water Trough Be Cleaned? 4 What About Very Large Tanks? 6 What If You Have To Carry Water? How Much Clean Water Does A Horse Need? The average horse drinks about 10 gallons of water a day under normal circumstances. Very active horses naturally drink more, as do pregnant and/or lactating mares. Horses that live in very hot dry places need more water, and those that have a diet rich in dry fiber will need more water, while those on lush pasture will need less. It’s always best to err on the side of generosity when providing your horse with water. For one horse, a 25 gallon trough should be plenty as long as you can replenish the water every day. This size trough is not too big to be easily maneuverable. You should be able to clean it out thoroughly at least once a week. In fact, many people simply dump this size trough out daily rinse it and refill it. If you have more than one horse, you may choose to get a larger tank or get multiples of the smaller size that you can dump and clean quickly and easily. How Often Should A Horse’s Water Trough Be Cleaned? 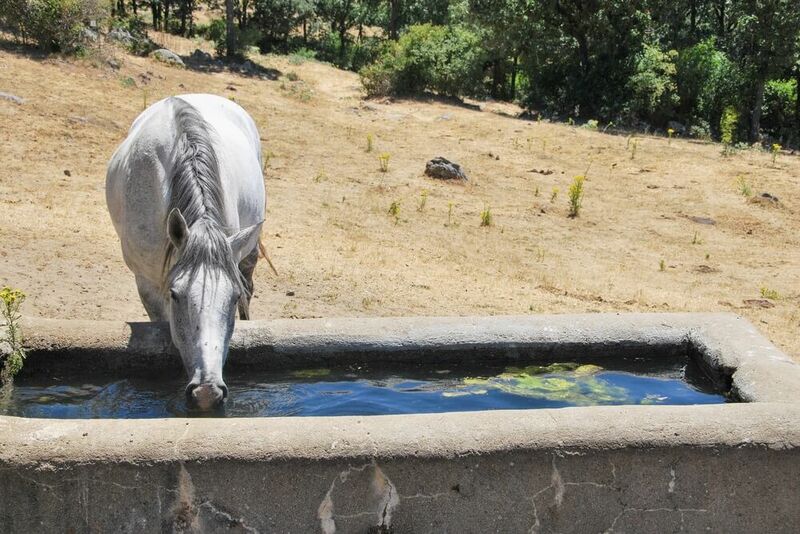 The ideal is to be able to rinse out your horse’s trough daily and refill it with fresh water. If you’re not able to do that, be sure to run the water over for a few minutes every day. Set the water volume on a low to medium flow and put the hose at the bottom of the tank to stir up any sediment that may have drifted to the bottom and to displace the water on the bottom. Let the tank overflow for about five minutes and you will have mostly clean water in your water trough. This method works well to keep the water clean even for very large tanks. If you don’t overdo it, you shouldn’t have a problem with mud around the water trough. About once a week, empty the trough, scrub it with a brush and spray it clean with a power attachment on your hose. If there’s algae on the sides, scrape it off but don’t be too alarmed by it. Most algae is harmless. To prevent algae growth, be sure to place your tank in a shady area. This not only inhibits the growth of algae but also ensures that your horses’ water will be cool and refreshing. What About Very Large Tanks? 1. Overflow the water for a few minutes every day to displace old water and replace it with new water. 2. Place your water trough on slightly elevated ground so that horse manure won’t accidentally be dropped into the water. This will also help prevent problems with mud around the horse trough. 3. Use a fine mesh fishnet to scoop out bits of detritus that might settle to the bottom of the trough. 4. Add a few goldfish, minnows or mosquito fish to your large stock tank to help eat algae and also bits of hay and feed that may fall from your horses’ mouths. Fish will also eat up any mosquito larvae that result from mosquitoes laying eggs in the horse trough. Be advised that if you’re filling your horse trough with city water, you must be careful not to add too much tap water at one time if you have fish in the trough. Large amounts of city water treated with chlorine and other chemicals can kill your fish. Some horse owners add a little bit of chlorine bleach to the water to kill germs and discourage algae. While chlorine is commonly used to disinfect water in municipal water systems, this is not really the best idea. If you’re already using water from a municipal water system, it is already treated and you don’t want to overdo it with too much chlorine. Additionally, if you have fish in your stock tank chlorine will kill them. It’s far better to simply displace old water with new water and be diligent about keeping dirt and debris out of your water trough. What If You Have To Carry Water? If you’re keeping your horse in a place that does not have access to running water, you will need to carry water in. Be sure to purchase an adequate number of 3 to 5 gallon bottles or buckets to bring in enough water for your animals. Make certain that the water vessels you choose will not be too heavy for you to handle easily. If you are carrying water in buckets and you have a way to secure them so that they can’t be tipped over you can simply gather enough buckets to be able to switch them out every day with completely clean water. If you have one horse, three 5-gallon buckets or five 3-gallon buckets will take care of that horse’s water needs for 24 hours. 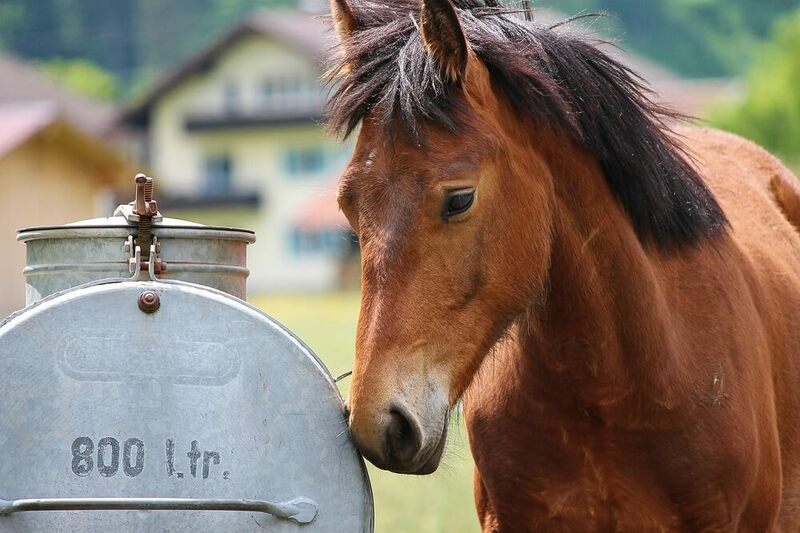 If you have more horses and need to use a larger tank, you probably won’t want to fill it to overflowing every day, but do your best to replace the water your horses have drunk daily. Of course, you’ll need to be extra diligent about scooping hay, feed, twigs, leaves and other detritus out of your water troughs when you are hand carrying water. Be careful not to choose a water trough that is so large that you’ll have a hard time dumping it out and cleaning it at the end of the week. You’re better off using several smaller water troughs than one very large one when you have to hand carry water. Nicky has been an editor at Horses & Foals since 2017. Horses have been in her life from her earliest memories, and she learned to ride a horse when she was 5. She is a mom of three who spends all her free time with her family and friends, her mare Joy, or just sipping her favorite cup of tea. Horses & Foals is a horse blog run by two equine enthusiasts helping first time horse owners and beginners. Learning good horsemanship is a lifelong pursuit, so please get in touch if you have a query, story or any comment to share. Horses & Foals is a participant in the Amazon Services LLC Associates Program, an affiliate advertising program designed to provide a means for sites to earn advertising fees by advertising and linking to Amazon.com.